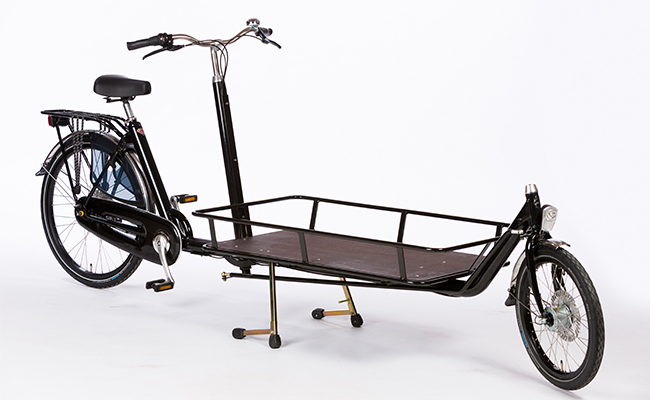 Martin Van Andel created the two wheel cargo bike in 2002. His intent was to create a rapid, robust and responsible way to transport children and whatever else he could fit in the box. The XL is a stripped down and stretched version of that very idea. The emphasis is fully on cargo with this iteration. Flatbed with or without rails allows the most open source platform for your “in real life” analogue Tetris experience… Just add boxes and cue the 8-bit soundtrack.